Night meetings and Floodlit racing at Southwell has been dented with another delay and will now see its first meeting commence in March after hitting another setback. 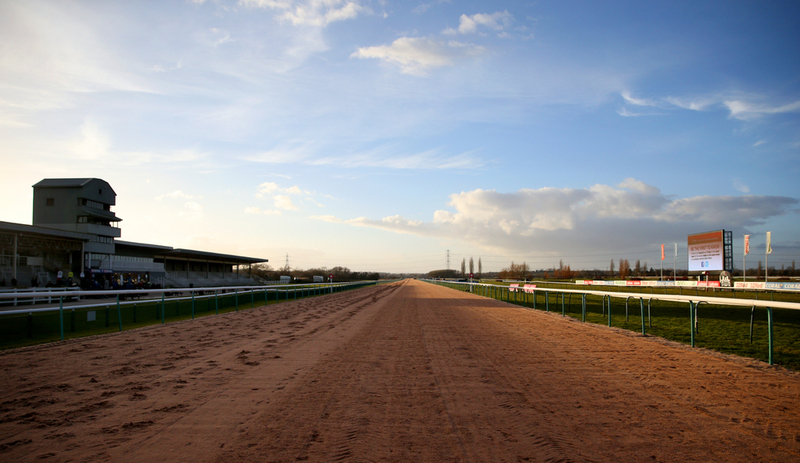 The Nottinghamshire based track saw its first two meetings that were supposed to be under the floodlights transferred to another course due to an issue regarding the supply and installation meant for the track. The new setback see's the track having to again ship out there scheduled meetings on February 18th, 22nd, 28th and 5th March with them not able to stage any racing without natural light before that time. (Credit Racing Post) Arena Racing Company PR and communications manager Sam Cone said: "Unfortunately further delays with the installation of the power supply to Southwell mean the course will not be ready to host the twilight fixtures under floodlights scheduled in February and early March. "While this delay is obviously a frustration, allowing sufficient time to host the required tests and gallops under the lights is obviously of utmost importance, and we look forward to getting under way with this work as soon as possible." The all weather Fibresand track is now got a new date for there first floodlit meeting and that will take place on March 14th. The official grand opening doesn't come until 16 days later on the 30th, where there will be a light show to go along with the racing. The transferred fixtures that were scheduled at Southwell will now take place at these venues on these dates: Newcastle (February 18), Chelmsford (February 22), Kempton (February 28) and Wolverhampton (March 5).